With all the large-flowered clematis hybrids becoming increasingly susceptible to Clematis wilt, most people's specimens end up spending the year looking little more than a thatch of dried stems. So to save years of disappointment, you are likely to get far more ornamental value from the other species, cultivars and alternative hybrids. Arguably one of the best is the evergreen Clematis armandii, along with its various selected cultivars, my plant of choice is the pure-white flowered 'Snowdrift' which received the Award of Garden Merit from the Royal Horticultural Society in 1984. Native to central and western China, Clematis armandii is a strong growing, evergreen climber noted for it early blooming. Under favourable conditions you can expect the stems to reach a length of 4.5-6 metres long. Reminiscent of the deciduous species, the dark-green, glossy leave are composed of three leathery leaflets Each one can be up to 15 cm long. The creamy which flowers of the true species are between 5-6.5 cm across and are carried in axillary clusters during April or early May. Occasional blooms can appear from November onwards. 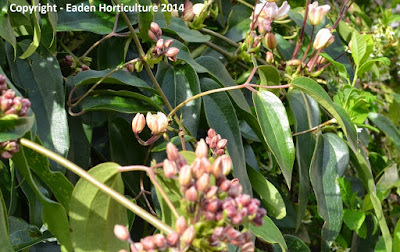 Clematis armandii will flower at its best when grown in full sun however it will be quite happy growing in semi-shade. It is ideal for a warm south or south-west facing wall with protection from cold winds. Grow in any moist, fertile, well-drained soil, though preferably one with either an alkaline or neutral pH. 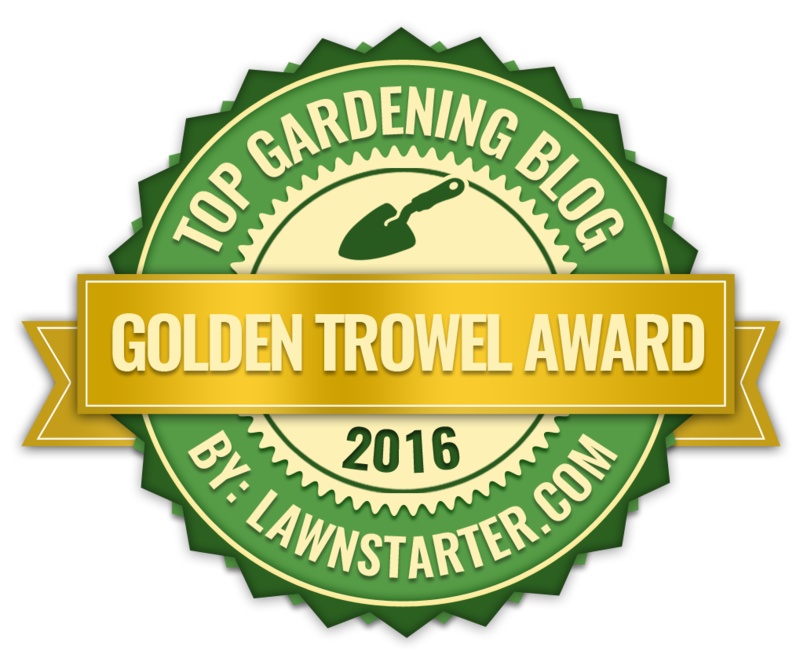 Mulch the base of the plant with well-rotted garden compost or farm manure but avoid having the mulch touching the stem. Unlike the large flowering hybrids you do not need to bury the root ball below the soil level, plant Clematis armandii with the crown at soil level. In coastal regions the leaf tips can take on a burnt appearance if grown in salty soil or salty water. 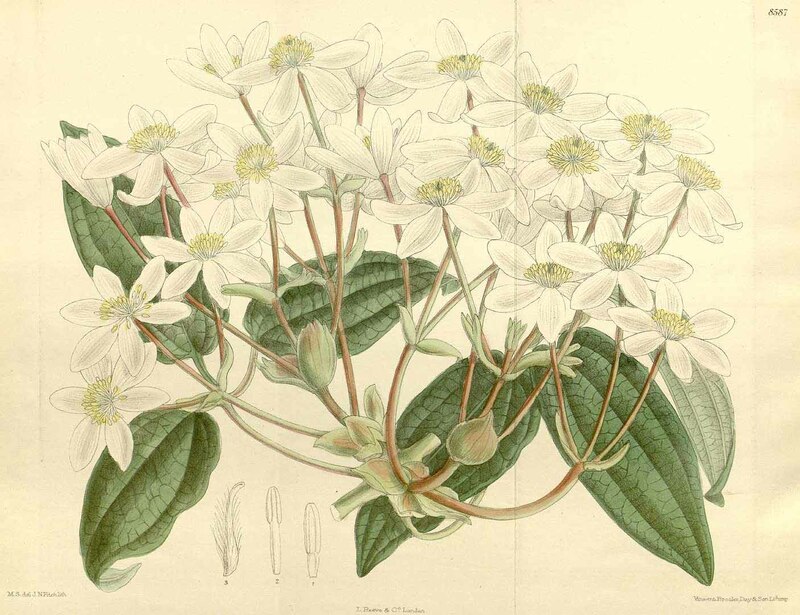 Clematis armandii was first brought to the attention of English gardeners in 1900 by renowned plant hunter Ernest Henry 'Chinese' Wilson (1876 – 1930), then subsequently received the First Class Certificate (FCC) from the Royal Horticultural Society.